Hi everyone! It’s Morgan. I’m currently researching small business growth in Denmark at the moment, but I decided to take a quick reprieve from my research and look into EpiPen® pricing here in this country. The recent outrage over Mylan’s price increases certainly has made international news. Heather Bresch is now viewed as a challenger to Martin Shkreli as worst CEO of a pharmaceutical company, ever. Good. Seeing all the news and congressional inquiries started to make me think: why does the US have this problem? Is it only a US issue? Why can Mylan get away with this blatant price gouging? Doing a full cross-country comparison among developed countries in North America and Europe would take a few weeks, so I decided to examine how Denmark does it. 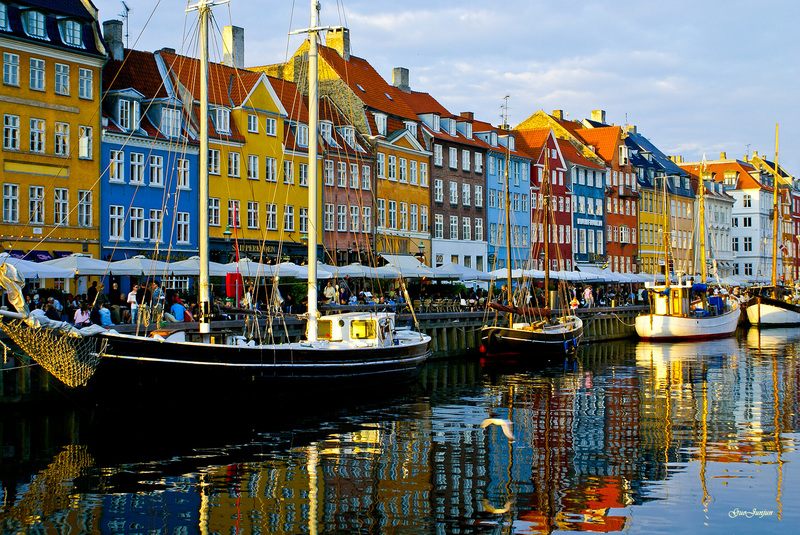 Denmark has a publicly funded health care system with mixed governance structures: the national government sets health care goals, policies, and tax structures while regional and municipal governments oversee the delivery of health care and process payments and reimbursements. Group 1. 97% Danes select to be in Group 1. It’s entirely free to visit a general practitioner (GP), but you need to get a recommendation to visit a specialist. If you visit a specialist upon recommendation of your GP, it’s entirely free. Group 2. 3% Danes select to be in Group 2. You can visit GPs or specialists at your pleasure and don’t need recommendations. All GP visits are free, but there’s only partial coverage of costs for specialists. Denmark offers on-the-spot reimbursements for pharmaceutical costs (more on that later) and it doesn’t matter if you’re in Group 1 or 2. Let’s say I’m the CEO of a pharmaceutical company. Let’s call this company Molfyne and say it mainly produces anti-depressants. Let’s also assume that I’m licensed by the Danish government to produce and sell pharmaceuticals in Denmark. Molfyne would need to apply to the Danish Medicines Agency, a national agency, to have its drug recognized and sold in Denmark. I would need to file an application with the Danish Medicines Agency (DMA) and tell them my selling price of my drug to Danish pharmacies. I also submit documentation regarding the effectiveness, side-effects, and value-added of the drug (among other information) to DMA and wait for their response. DMA determines whether the drug will be reimbursed or not based on those factors. It’s not entirely clear from my research whether DMA “negotiates” with my company over my price offered, but I suspect there might be a little negotiating. Then, if approved, my anti-depressants are bought either by Denmark’s hospital drug procurement company (called Amgros) or by private wholesalers who sell to local pharmacies. If a patient is prescribed my drug in a hospital, there’s no co-pay or any payment since any and all pharmaceuticals are provided by the hospital and payed for by taxpayers. If a patient is prescribed my drug by their GP or specialist and needs to buy it from a local pharmacy, they are reimbursed on-the-spot by the Danish government on a tiered system. This means that if a drug cost $50 and they qualified for a “$10 reimbursement,” they would only pay the pharmacy $40. This tiered reimbursement system is determined by how much you’ve spent on pharmaceuticals this calendar year. These tiers are 2015 numbers and are adjusted annually. To translate this, if I need to get $200 worth of drugs in February, I pay $138 out of pocket, and get 50% off the remaining $62. But if I need to buy $200 of drugs in June, I get the 50% reimbursement on the leftover of the second tier ($27 worth), and get a 75% reimbursement on the remaining cost. It means the more drugs you need to purchase, the less expensive it gets for you. There’s only one catch: reimbursements are calculated based on the least expensive generic product. Pharmacies are required to issue the least expensive generic product, unless a doctor says otherwise (this is unusual). So, if your doctors says “not the generic one” you may have to pay a bit more, but it is still heavily reimbursed. Denmark makes it really easy to find out how much drugs cost across the board: they even have a website (http://www.medicinpriser.dk/) you can explore. It is in Danish, but you can select “English” in the upper right to view it in English. Notice that there are three items for 0.3 mg doses (the Stryrke column) from three pharmaceutical companies: 2care4, Orifarm, and Meda (the Firma column). Look at the consumer price (far right column)! 440 DKK is the equivalent of about $66. 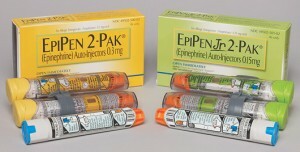 This means that you would pay $66 for an EpiPen® (a single one, not a two pack). 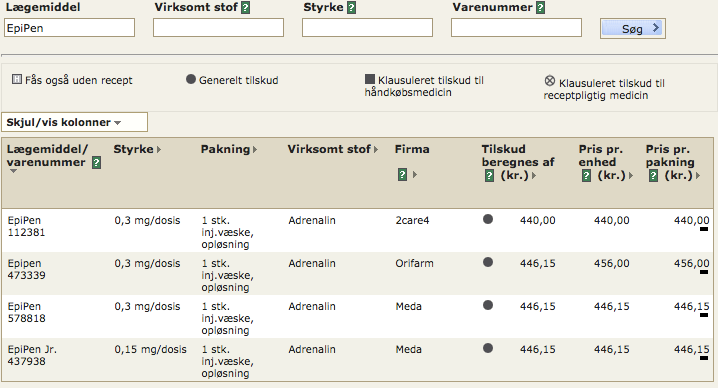 The Meda EpiPen® costs 446.15 DKK, which is about $67. Really not much difference between the companies. I was blown away seeing this. $66 for one EpiPen is cheap, even though it is an increase from previous years. 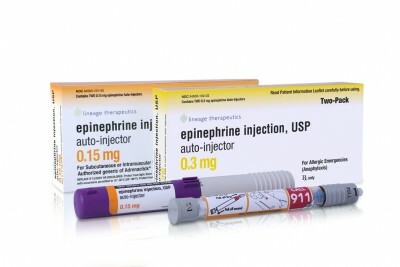 Furthermore, if I have other drug costs from the year and need to get an EpiPen, this could cost me $33 (50% reimbursement), or ~$16 ($75% reimbursement). That’s quite inexpensive. Lastly, drug companies are only allowed to adjust prices every other Monday, and they must be publicly recorded with the Danish government. There is also a law-binding agreement between an association of pharmaceutical companies (called Lif) and the Danish Ministry of Health to only raise drug prices ~1.5% every 4 years. Only some companies, like Sanofi and Pfizer, are a part of this association. Drugs available to hospitals are negotiated by one sole entity. There is a “monopsony,” a literal single buyer in that market (Amgros). Amgros is the only entity that provides Danish hospitals drugs and therefore drug companies have to negotiate with Amgros to sell their drugs. 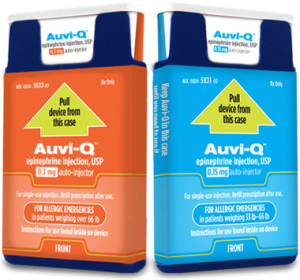 This means an emergency responder or a hospital does not need to worry about using an EpiPen® since the price is reasonable. Drug reimbursements are approved by a national health authority, the Danish Medicines Agency. As I clarified earlier, I can’t find too much about the DMA negotiating with drug companies, but I bet they wouldn’t approve reimbursements for drugs that are exorbitantly expensive, which means Danes wouldn’t have access to them by any practical means. You pay 8% on all gross income — regular income, wages, pension benefits, and so forth. There are deductions for interest dividends up to about $7,000 a year. You also pay between 23% and 28% to your municipality (averaging about 24% across Denmark). They’re merging their national healthcare contribution tax (3% for 2016) into their national income taxes over the next few years, but you pay that too. In total, you could pay upwards of about 57% of your income to governments of various levels every year. That’s a lot of taxes. Oh and there’s a 25% value-added tax (kind of like a sales tax) on all goods. Health care is a complicated system. 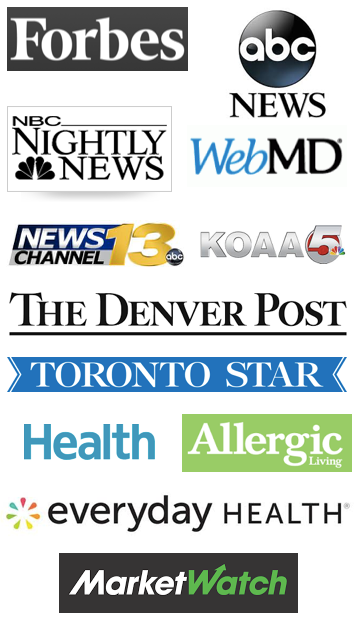 There are pharmacies, health insurance companies, pharmaceutical companies, medical device manufacturers, hospitals, emergency providers, private practices, and so much more. Denmark decided to basically keep most of that private (only doctors at hospitals are “public employees”; most health care providers are private employees) but fund it all publicly. They figured out ways to keep regulatory compliance low and efficient. It’s also important to note there are a lot of differences between the United States and Denmark. Geographic size, population, and regional inequalities all play a role. 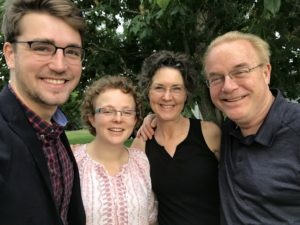 If you live in a rural region of Denmark, you’re going to get the same kind of schooling or access to health care as kids in Copenhagen — that’s not necessarily true of Mississippi versus Minnesota. 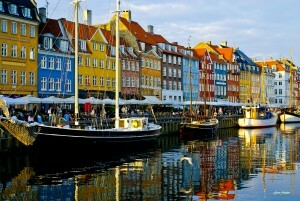 Denmark is only 5 million people large; that’s barely the size of Colorado. And, of course, it’s a tiny maritime nation on the north end of Germany versus half of the North American continent. The US needs to get serious about price negotiations. The Economist recently ran an article on EpiPen® pricing and the failures of the US system (note: there might be a paywall). It’s illegal for Medicare, our nation’s largest health insurance entity, to negotiate with drug companies on pricing. Only private health insurance companies can do that and they’re heavily constrained in their negotiating — only in 6 broad categories. The idea behind this choice was that competition would result in lower prices, but it obviously hasn’t worked. From the article: “As a result America spends 44% more on drugs per person than Canada, the next-highest.” That isn’t working. A publicly funded entity like Amgros could help lessen the price of drugs across the board, but it’d be very politically unpopular. The US needs to get serious about pharmaceutical influence in politics. Denmark spends about 9.8% of its GDP each year on healthcare (12.4% of that total expenditure is on pharmaceuticals) and pharmaceutical companies comprise about 13.5% of its exports. Pharma is big in Denmark. To compare, all machinery exported by US companies comprised 13.7% of our exports. The Danish government has every reason to bolster their pharmaceutical industry and loosen regulations, but they don’t. 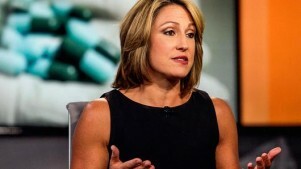 On the flip side, as the Economist article pointed out, “[Mylan’s] chief executive, Heather Bresch, heads the generic-drugs lobby and is the daughter of an American senator.” There’s some questionable influences in American politics over our regulation of and choices regarding the pharmaceutical industry. Lastly, the US needs to get serious about insurance reform. Drug companies are notorious about offering coupons and deals for many of their more expensive drugs, especially if your insurance doesn’t cover their drug. They do this so they “look good” and can avoid regulation by Washington. But, they don’t do this for insurance companies. Insurance companies have to pay for the expensive drugs without the deals some consumers gets. In the long-run, that raises insurance prices for everyone. The Affordable Care Act (y’know, Obamacare) only did so much to combat that and, in some cases, ran counter to that goal by causing insurance price increases. We need some serious healthcare reform. Most of it is going to be opposed because (from the Economist, again) “the only thing that Americans detest more than an expensive drug is a bureaucrat who says they can’t have it.” But, there are obvious lessons from countries around the world who have effectively dealt with price gouging by pharmaceutical companies like Mylan.